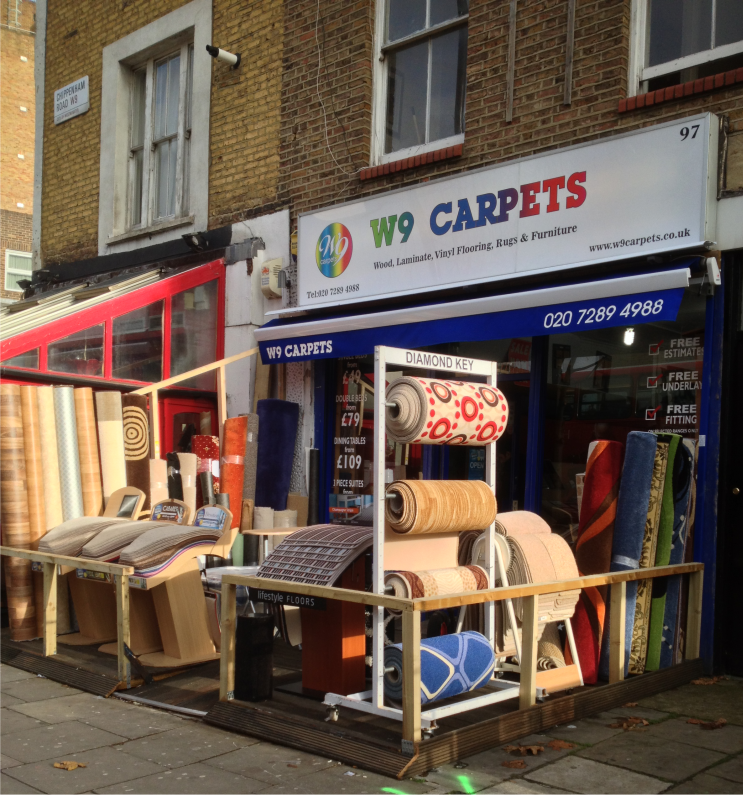 W9 Carpets, have over a 25 Year period, become one of London’s most professional Carpet outlet. With a combined trade experience of over 20 years, we are well versed in all aspects of the Carpet & Vinyl trade. We are a Family owned & run business that employs its own teams of quality Fitters, we provide a personnel service and are small enough to be able to offer this to all of our customers, both Contract & Retail. Our showroom and Warehouse are located in West London, giving us access to all areas within M25 and the Home Counties. Our keen buying power enables us to offer quality floor coverings at very competitive prices. Our key clients include Estate Agents, Property Managers, Architects, Interior Designers & Management Facility Companies as well as a wide range of business & private residences across the Country. We provide you with a full Planning & Estimating service which is without charge or obligation. Your 100% satisfaction is our top priority at W9 Carpets. Satisfaction on choice, quality, service – and of course, satisfaction on price. We promise to try and give you the best prices we can, to make shopping for new flooring as affordable as possible. As one of West London’s professional flooring retailers, we have a great deal of buying power, which means we can ensure quality products at the best prices.